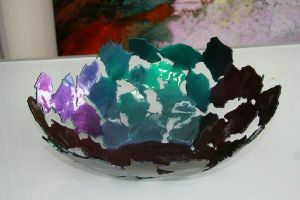 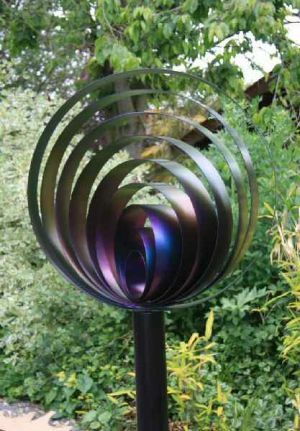 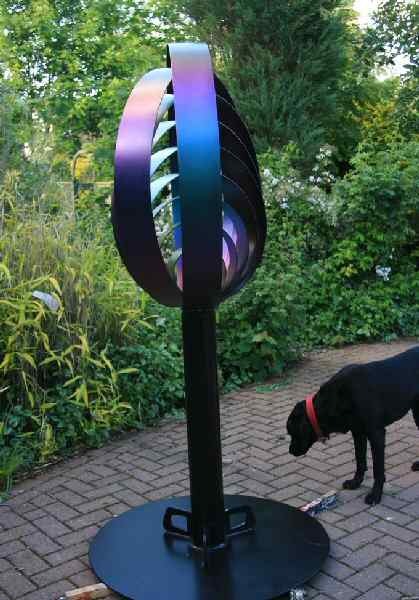 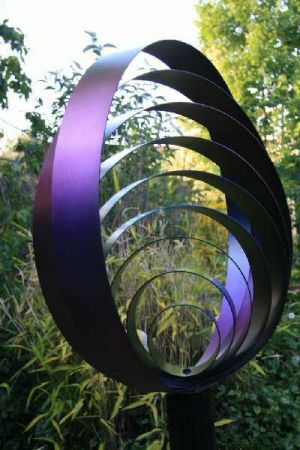 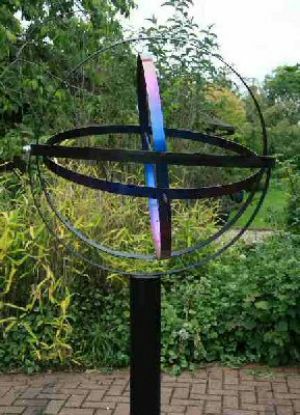 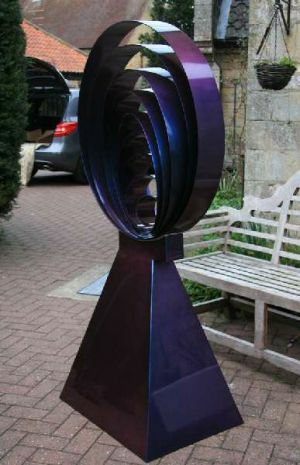 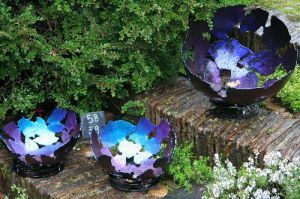 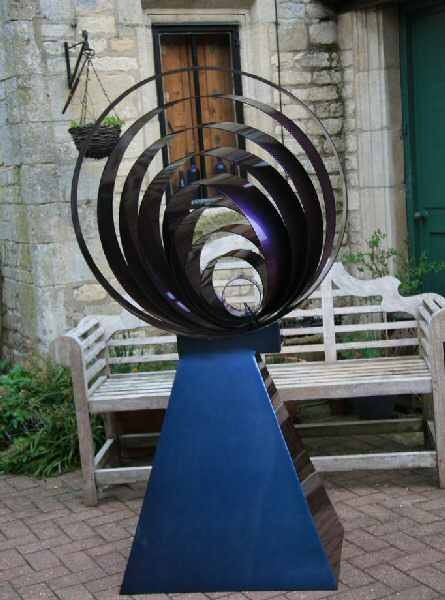 Using his engineering skills John creates contemporary metal sculpture; elemental forms highlighted with iridescent surfaces that reflect the colours of the landscape. 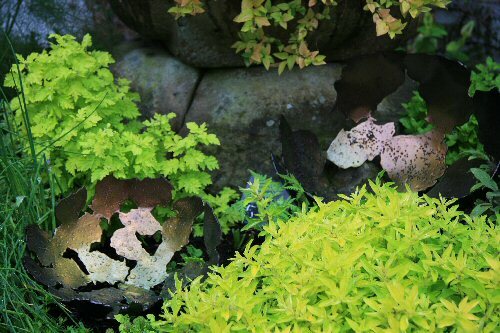 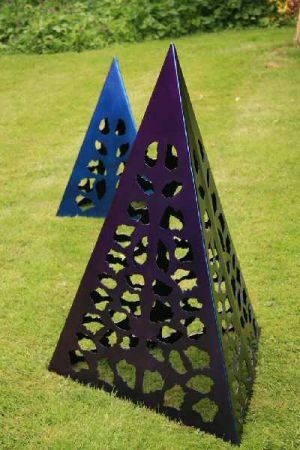 The PYRAMID trio pieces are at home in luxuriant undergrowth, the strong architectural shapes contradicting the natural organic flow of plantings. 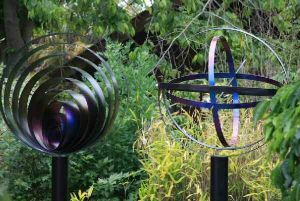 Equally the design elements of the GALAXY ORBIT series allow them a strong enough presence to be displayed as single contemporary sculptures. 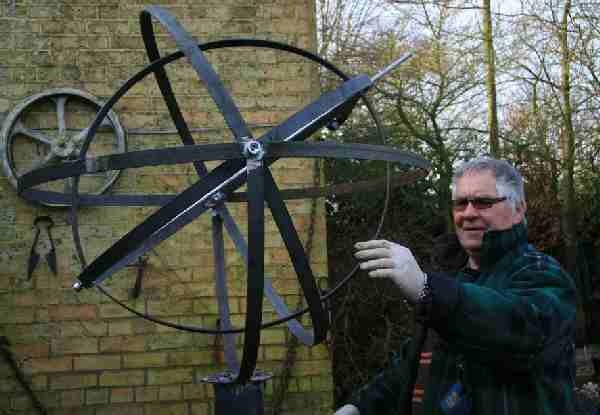 The smaller pieces look at home in an interior setting and John undertakes bespoke commissions for the all the sculptures. 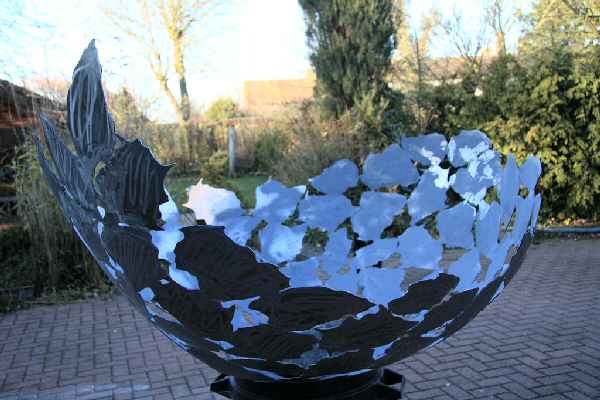 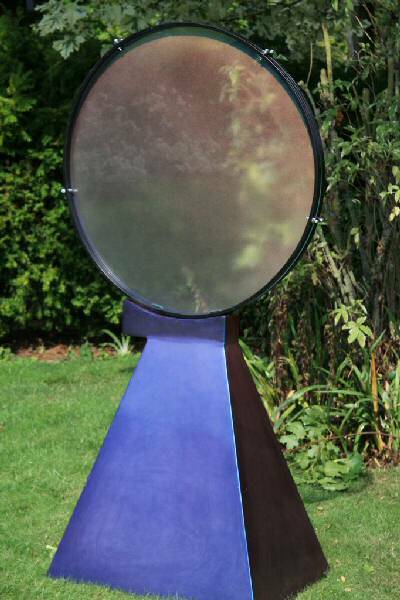 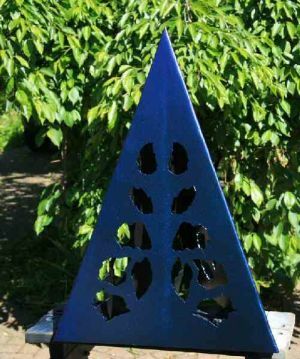 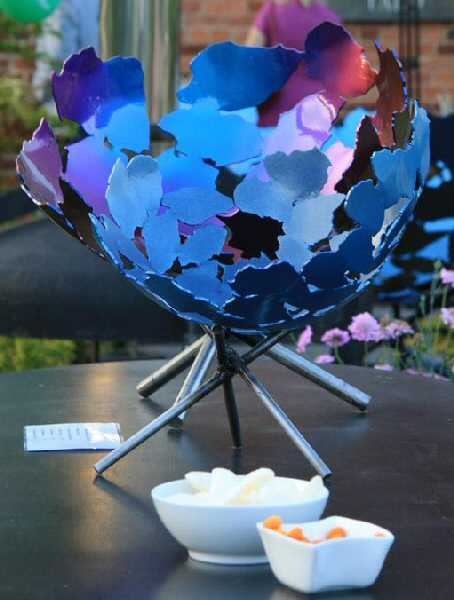 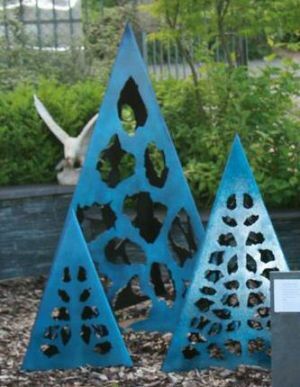 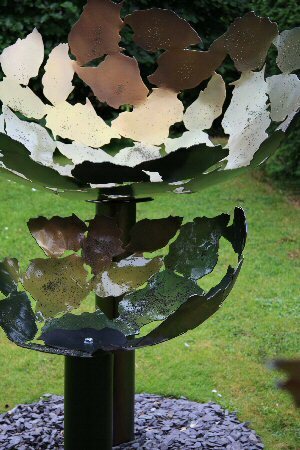 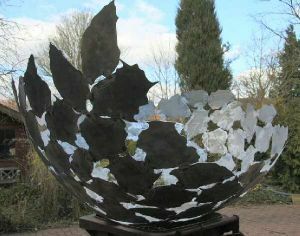 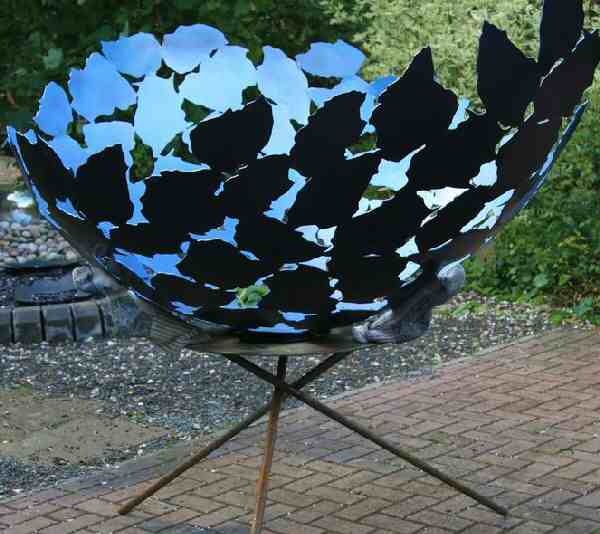 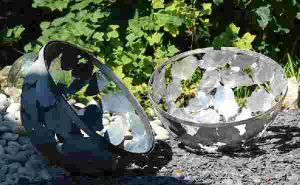 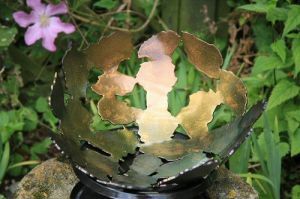 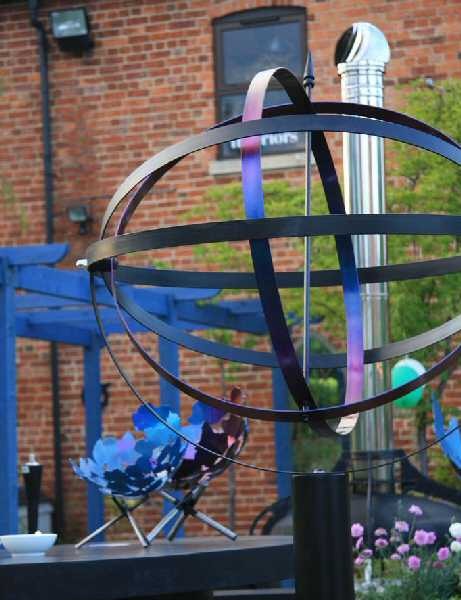 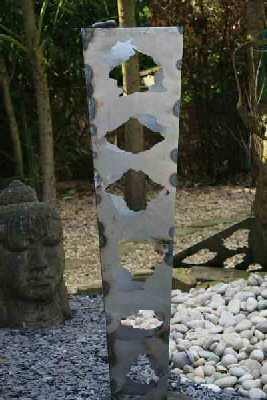 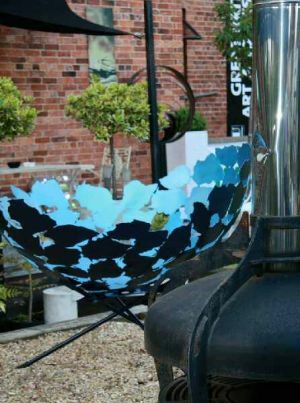 An exhibition of John Glew Metal Garden Sculptures is currently being held at: Union Contemporary Interiors – Union Street, Grantham, Lincolnshire NG31 6NZ.